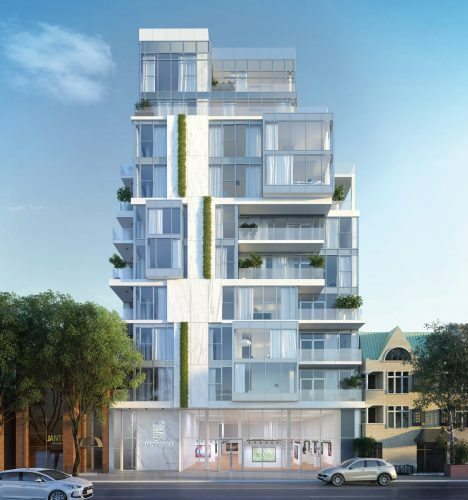 Coming soon to Avenue Road and Davenport is an exclusive collection of 35 contemporary condo homes. Coming soon to Avenue Road and Davenport is an exclusive collection of 35 contemporary condo homes. These spacious floor plans are a great alternative to costly and hard-to-find single-family homes, in a classic neighbourhood. Situated in the desirable Av and Dav neighbourhood, the building boasts a Walk Score of 94 and is close to TTC bus routes, the Dupont subway and bike lanes, which means you can be downtown in 20 minutes. Suites will feature entertainment spaces with modern open floor plans, private balconies, custom European-styled kitchens with Miele appliance package, engineered hardwood floors, frameless shower enclosure, natural stone tile and designer lighting. 346 Davenport is surrounded by world-class shopping, restaurants, cafés and entertainment options. It’s close to schools and nearby parks such as Ramsden Park, the Dupont Parkette and Glen Edyth Parkette. Sizes: 1,000 to 4,400 sq. ft. Sales centre: 346 Davenport Rd. Hours: Monday to Wednesday, 12 to 6 p.m., Thursday, 12 to 7 p.m., weekends, 12 to 5 p.m.